Lorraine Maita, MD is a recognized and award-winning holistic, functional and anti aging physician and author. She transforms people’s lives by getting to the root cause of illness and reverses chronic illness through lifestyle change using the best of science and nature. She is known for her knowledge, caring and understanding. Dr. Maita’s visits are long and comprehensive. She really listens and forms a partnership with her patients. Her approach is personalized and you are treated as the unique individual you are. Dr. Maita served as Chief Medical Officer and Medical Director for 3 Fortune 100 companies and is an Advisory Team Member for WOR radio, the #1 news/talk radio station in the New York Metropolitan area. She is Board Certified in Internal Medicine and has over 25 years of experience in Preventive Health and Wellness, Internal, Occupational and Travel Medicine and Executive Health at Fortune 100 companies. She is also the author of Vibrance for Life: How to Live Younger and Healthier. 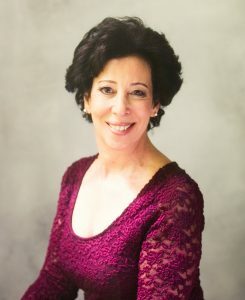 The award-winning physician completed a fellowship in functional and anti-aging medicine, has visited age management clinics and spas both nationally and internationally and trained under many different functional, integrative and anti-aging philosophies to develop her own customizable health enhancement program. Dr. Maita specializes in bioidentical hormone replacement therapy, weight loss, nutrition, executive health, and nutritional and metabolic medicine. After working with the doctor, her clients are able to regain their lives, relieve aches and pains, restore intimacy in their relationships, become more motivated to eat right and exercise, and improve personal and professional performance, physical strength and mental clarity. Chronic illnesses are often reversed and patients are less reliant on medications to manage their conditions. Prior to owning her own practice, Dr. Maita was a physician at several hospitals and clinics and served as Vice President and Chief Medical Officer at Prudential Financial, Medical Director on The Pfizer Health Leadership Team, Medical Director of North America for Johnson & Johnson Global Health Services, attending physician at Executive Health Examiners NY Stock Exchange clinic and Emergency Room physician at St. Luke’s/Roosevelt Hospital in New York City. During her tenure at these companies, Dr. Maita developed preventive health and wellness programs, travel health programs for executives traveling overseas, policies, strategies and standards internationally. The health programs Dr. Maita created and implemented helped people lower their blood pressure, lose weight, deal with chronic illness and much more. Her programs have gained recognition globally and have won awards such as The Pfizer Consumer Healthcare President’s Innovation, The New Jersey Psychological Association Healthy Workplace, The Center for Office Technology Outstanding Office Ergonomics, The New Jersey Heartsavers and The New Jersey Governors Safety Awards. “Dr. Maita is a Diplomate of the American College of Anti-Aging and Regenerative Medicine. She also has an appointment at Atlantic Health System’s Morristown Memorial Hospital. The experienced physician is renowned for her innovative approaches in delivering compassionate, quality care. She consistently achieves superior results as well as outstanding customer satisfaction. Dr. Maita’s clients report that they are now leading more vibrant lives due to the dramatic results she has helped them to attain.